Photomicrograph of a polished section of ore from the Wall mine. Shows a typical example of graphic intergrowth of bornite and chalcocite. 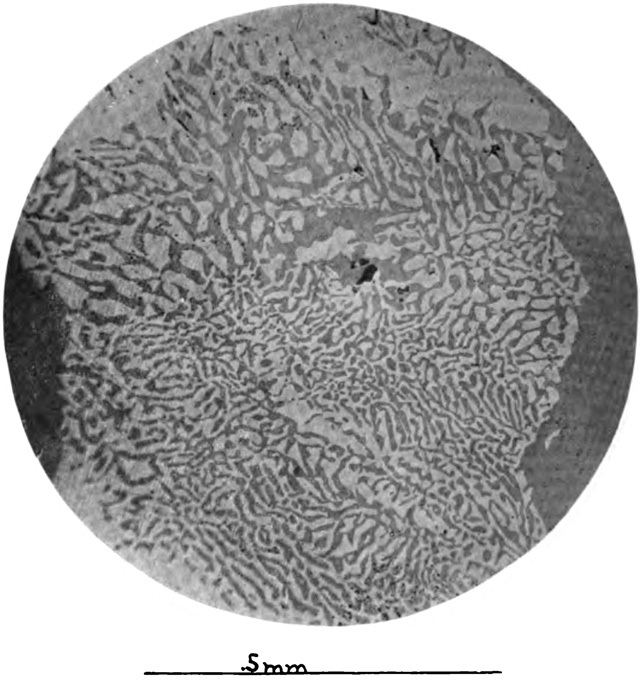 This structure is so different than that of supergene chalcocite in bornite and so closely resembles the structures which are characteristic of alloys, mates, and slags, that the writer, while admitting that it may possibly form as a secondary process, still believes that it is formed in a very different manner from the structures shown in plates VII and VIII. He believes that such structures form as a result of hypogene more often than from supergene processes and that in such cases as this the evidence is far more strongly in favor of a hypogene process and of contemporaneous deposition of the two sulphides. Emergence, however, unfolds in time; it must be narrated... I call these strategies [ art-critical strategies based on the presumption that objects are its fundamental units of analysis ] centripetal because they establish meaning by moving inward toward a thing — the work — bolstering its primacy and stability. or ice, field of, islands of. The (an) alternative is the object in series — the multiple, even different iterations of the same — and movement in space, amongst objects, amongst the occasion for objects. Where significance is shunted/deflected/deferred along — or even undermined — from one item to another, each (along with the beholder) a participant in the unfolding narrative/conversation.